I'm now here almost every other time I have class. Get the chicken mozzarella salad and Brussels sprouts or hot kale. Delicious and not too expensive. Great balsamic dressing too! The food here is very good. I have purchased their meats, I have eaten their prepared foods, and I have attended events they catered, and I was extremely pleased with their work. If the owner could snap some sense into the counter staff, or at least teach them to smile, I would gladly add additional stars (note that the staff at the catered events were great, it's the folks behind the counter that need help). Look for the chicken burger, the Cuban rueben and the German potato salad - all highly above average. I have eaten food catered from here at two different parties. Both times exceptional. The meat was fresh and delicious and the sides were very good too. Makes me want to go visit the store and see what else is cooking! Long Island makes for one of the most wonderful places in the country to celebrate any special occasion with professional catering. The choices for celebrating any kind of event are limitless here on Long Island due to its many accommodations. From banquet halls on the beach, to off premises catering in one of its many national parks, there are hundreds of places to celebrate with special event catering. But what makes Long Island catering so specifically unique? In this article, we will outline just what makes Long Island so great for celebrating any momentous occasion you can think of. You can celebrate your special occasion on Long Island no matter what the weather condition is. If you plan to get married on one of Long Island’s many famous beaches, you may regret that decision when it starts to rain on your wedding day! The good news is, there is always a backup plan on Long Island. The majority of event catering companies can provide a contingency plan for you and your bridal party on your important day. Some catering companies even have chapels alongside lakes that can accommodate a wedding as soon as the first drop hits the bride’s veil! It is comforting to know that mother nature will not dampen your very special moment. No matter what the weather decides to do, Long Island catering companies can provide you the best time of your life. Although Long Island may be considered a rather expensive place to live, it can also be quite budget friendly. There are many options for celebrating on a bit of a budget here on Long Island. If you decide to have your wedding ceremony at the same place as your reception, for example, you can save yourself some money. 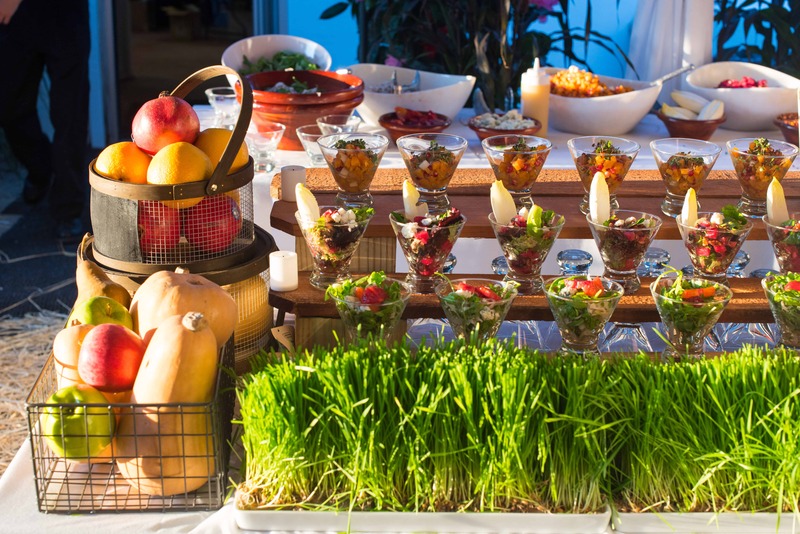 This can also be beneficial if you decide to partake in off premises catering for your reception, which, depending on the catering company, could be a big savings for you. On Long Island, the choice of the cost is yours. There are so many banquet halls on Long Island that will be happy to have you say your vows as well as party the night away, which can save you thousands of dollars on venues and travel costs. It is no secret that the beaches of Long Island are a beauty to behold. Aside from the potential of encountering rain on your special day, the scenery on Long Island simply can’t be beat. There are so many wonderful beaches that jump at the chance to host weddings, birthday parties, anniversaries, and any other kind of special occasion you could imagine. Imagine watching the sunset on the beach as you say “I do” to the love of your life. A wedding on the beach is one of the most romantic scenarios imaginable. And if you choose to have your reception on the sand, that is absolutely something that could be accommodated as well! The majority of corporate catering companies are also happy to take the trip out to provide a mouthwatering menu as you celebrate by the Atlantic Ocean. Long Island has something for everyone. From the beauty of the beaches, to the historic national parks, to a plethora of catering halls, you are bound to find a good time nearly anywhere you go. Throw your next big party out here on Long Island! Prime Catering has many options for your special occasion, so contact us today so we can get your party started.